Belgium brewery, The Musketeers, has apologized for using Lord Ganesha as icon representing its Jack’s Precious IPA beer. Google translation of brewery’s (headquartered in Ursel, East Flanders) statement in Dutch, responding to criticism by Hindu community, published on their website, said: “The brewery wants to apologize when they unwittingly hurts a community”; and added that the beer label “in no way intended to hurt anyone”. Distinguished Hindu statesman Rajan Zed, who spearheaded the protest against the Lord Ganesha’s image on Jack’s Precious IPA beer label, in a statement in Nevada today, welcomed the brewery’s apology, calling it a step in the positive direction. 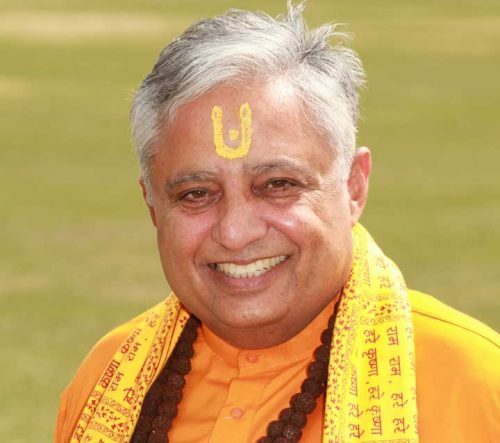 Zed, who is President of Universal Society of Hinduism, indicated that in the same spirit, the brewery should immediately withdraw image of Lord Ganesha from the beer label, which was highly inappropriate. If the Musketeers brewery continued to use Lord Ganesha icon on their beer, they were thinking of approaching the Commission on Marketing and Advertising of Belgium chapter of International Chamber of Commerce, Rajan Zed pointed out. Lord Ganesha’s image carrying chef knife in one hand and sausage like object on the other and brewery’s trade mark symbol on his head continued to be shown on Jack’s Precious IPA beer label on brewery’s website today. Rajan Zed had stated that Lord Ganesha was highly revered in Hinduism and was meant to be worshipped in temples or home shrines and not to be used in selling beer for mercantile greed. Moreover, linking Lord Ganesha with an alcoholic beverage was very disrespectful. Hinduism was the oldest and third largest religion of the world with about one billion adherents and a rich philosophical thought and it should not be taken frivolously. Symbols of any faith, larger or smaller, should not be mishandled, Zed had noted. In Hinduism, Lord Ganesha is worshipped as god of wisdom and remover of obstacles and is invoked before the beginning of any major undertaking. Brewery claims that Jack’s Precious IPA (Alcohol: 5.9%, EBC: 20, IBU: 50), launched in March last, “has the character of a floral bouquet with a citrus accent” and is available in Belgium, the Netherlands, France and the United Kingdom.